On September 10, 2001, as I crossed the Verrazano-Narrows Bridge, I looked to my right for a final glimpse of the cityscape. Since I’d moved away, the Manhattan skyline had become synonymous with “home.” From an eastbound viewpoint, it signified that I was almost there. And any time I traveled the bridge to return to Maryland, it represented the loved ones and lifestyle I would soon miss again. The following morning—around 8:30 am on 9/11—I chatted breezily with my Healthcare Traveler colleagues about the John Mellencamp concert I’d attended at Jones Beach on September 9th. Not more than 20 minutes later, one of them abruptly swept back into my cubicle. I followed her to the area where a number of our coworkers had already congregated. As we stood there watching the live coverage, I wondered how the jet could have gotten so horribly off course. And I felt sick when I thought about the people on the affected floors of the tower who, like us, had just started their workday. Oh, no, I thought in stunned silence, trying to process it all. This is deliberate. I felt a sense of urgency in wanting to be near family and friends so I drove back to New York on September 14th. As I crossed the bridge into Brooklyn and looked at the skyline, I had to catch my breath. There was a large plume of white smoke hugging the area where the towers once stood. And while the vista still signified home, it was one of the most heartbreaking sights I’d ever seen. 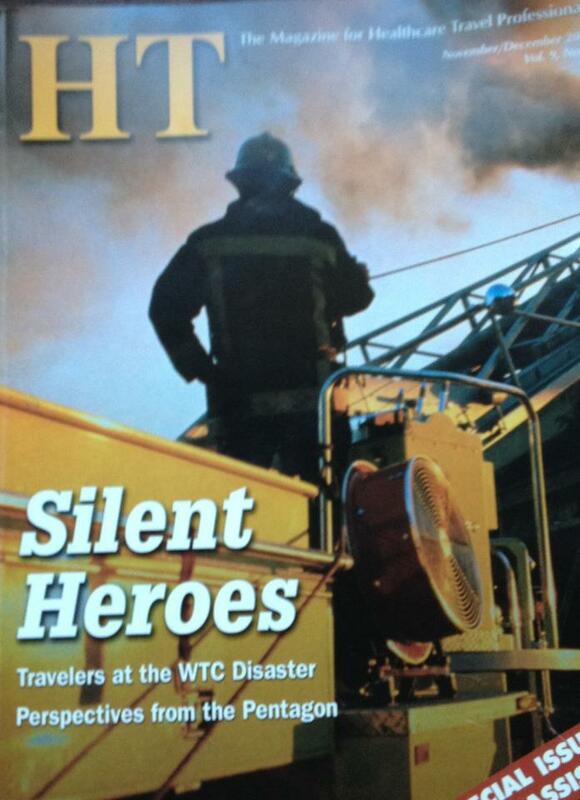 I interviewed an RN and a CST who had been on assignment at two different New York City hospitals on that tragic day. Like so many in the New York metropolitan area, they wanted to do more. Dee, the nurse, donated blood and walked around the city for 9 hours handing out food, water, gloves, and masks with a colleague. Jason, the surgical technologist, volunteered at Chelsea Pier — where a triage center and ORs had been set up — and participated in a “bucket brigade” at Ground Zero. Every year, in addition to remembering those lost on 9/11, I think about Dee and Jason—as well as the firefighters, police officers, paramedics, civilians, and other clinicians—who went above and beyond to help those directly affected by the unforgettable tragedy. Compassionate and dedicated, these exceptional healthcare travelers were a shining example of the inherent goodness in most people. And their selfless acts, along with those of countless others, provided a sense of comfort and community during a time of shock and overwhelming sadness. As we honor the memory of those who lost their lives and those who volunteered their support and skills, we invite you to share your thoughts and comments here on our blog or via Facebook, Twitter, and/or Pinterest. Happy Labor Day, everyone! While everyone’s favorite September holiday tips its hat to the economic and social contributions of American workers, it also also signifies the unofficial end of summer/beginning of fall. And of course, it is often celebrated with friends and family, and a variety of food-related festivities—from brunches and barbecues to potluck suppers and picnics. As a traveler, you get to experience new beginnings every 13 weeks or so. You also have the opportunity to try regional fare and unique dining options in countless locations throughout the U.S. and beyond. Odds are you’ve discovered some pretty amazing and tasty treats along the way. You know, the kind of stuff you may never have stumbled upon if it weren’t for your mobile career. We would love to hear about your picks for the best restaurants and takeout places in your assignment communities. We’d also like to learn about great eateries you’ve discovered en route to a contract destination. To kick things off, I thought I’d tell you about one of my favorite haunts in New York City. If you find yourself in or close to the Big Apple during a travel assignment, consider a trip to Britain. No, that’s not a typo; I’m talking about Little Britain, the wonderfully Anglo-centric slice of the city’s West Village. It’s where you’ll find Tea & Sympathy. 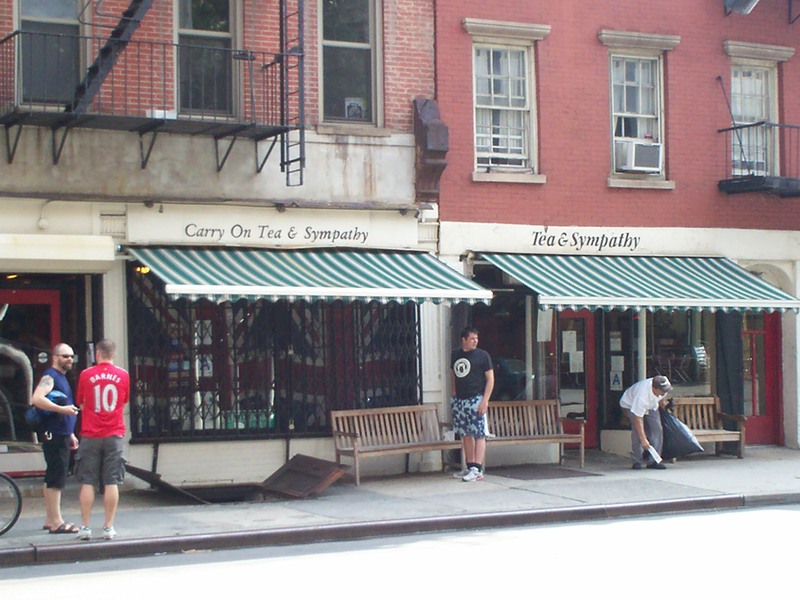 Tea & Sympathy (right), situated in New York’s West Village. For more than 20 years, owners Nicky Perry and Sean Kavanagh-Dowsett have provided New Yorkers and out-of-towners with the opportunity to enjoy a “proper cuppa” and traditional English fare. 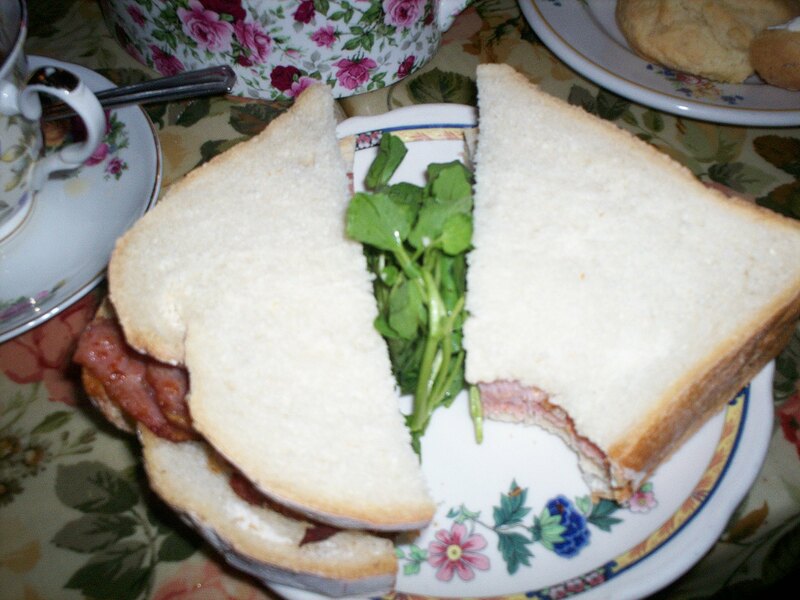 Once you set foot in this charming, authentic British café, you will be swiftly and happily transported to Dear Old Blighty. The atmosphere is intimate and cozy, the service impeccable, and all of the staff hail from the United Kingdom. My recommendations? A proper bacon butty with HP brown sauce and of course, Tea & Sympathy’s famous scones with raspberry jam and clotted cream. As you may expect, there are a plethora of options for tea lovers, from black currant, to Chai, to my pick, Typhoo. 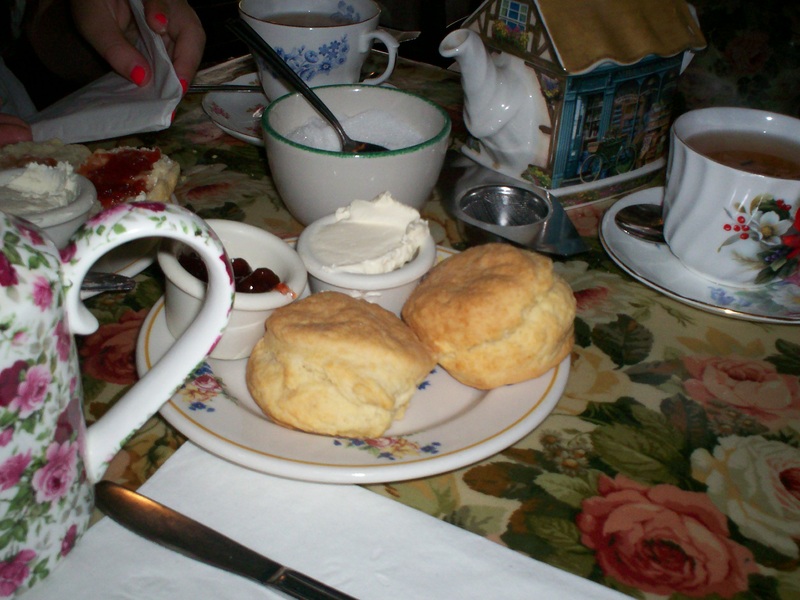 Tea & Sympathy’s famous scones with raspberry jam and clotted cream. Yum! 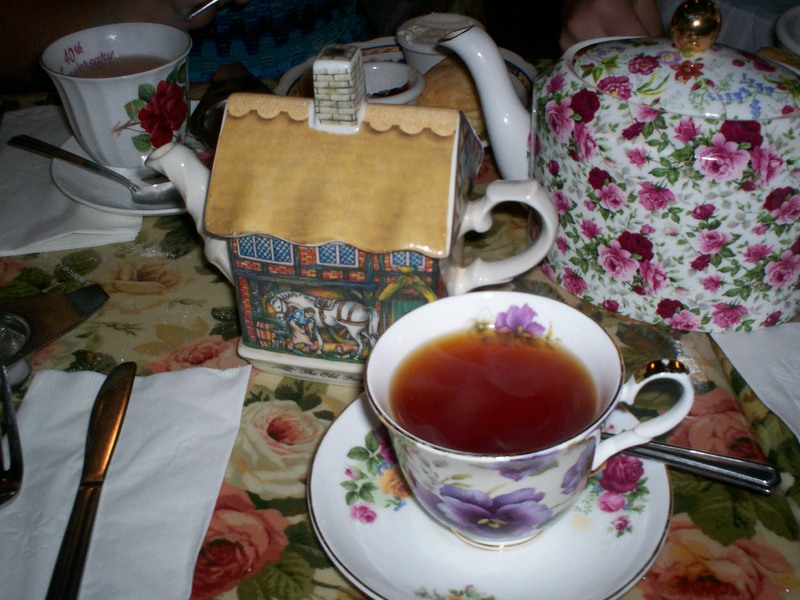 A variety of teas in the sweetest little teapots. Tea & Sympathy also serves spot on bangers and mash, and the best treacle pudding this side of Tooting Broadway. Located at 108 Greenwich Avenue, it is open Monday through Friday, 11:30 am to 10:30 pm, and Saturday and Sunday from 9:30 am to 10:30 pm. Bobbi Harrison is content channel manager for Healthcare Traveler and LocumLife. Like to recommend a great place for a bite? Contact Bobbi Harrison at bharrison@advanstar.com. Have you ever wondered what it’s like to be blind? The exhibit Dialog in the Dark takes participants on a one-hour journey through the streets of New York City in a completely dark environment. Led by guides who are blind or visually impaired, participants’ senses are heightened as they haltingly navigate across busy, simulated streets, to a subway station, and into Times Square. Open Thursday, Friday, Saturday, and Sunday, Dialog in the Dark is located at the South Street Seaport next to BODIES the Exhibition. Adult tickets are $23.50 and can be purchased at the exhibit box office, on Ticketmaster.com, or by calling 1-888-926-3437. More than 15 million people worldwide have experienced BODIES the Exhibition, currently open to the public in New York City, Atlanta, and Las Vegas. BODIES the Exhibition features real human bodies, preserved using mortuary science, standing in an array of athletic poses. Unlike idealized models, the more than 200 respectfully displayed specimens provide a far more accurate understanding of anatomy. Open seven days a week in NYC, adult tickets are sold on Ticketmaster.com for $28.50. 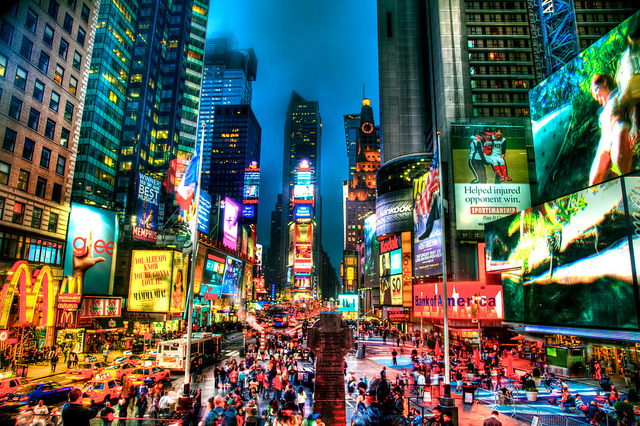 The NY Super Sale Package includes a reduced rate accommodation, buy one/get one free admission to Dialog in the Dark, and a $5 off coupon to Madame Tussauds from now through December 31, 2012. Use code NX or NX1 at the Hilton online, or mention it when calling 1-800-HILTONS.